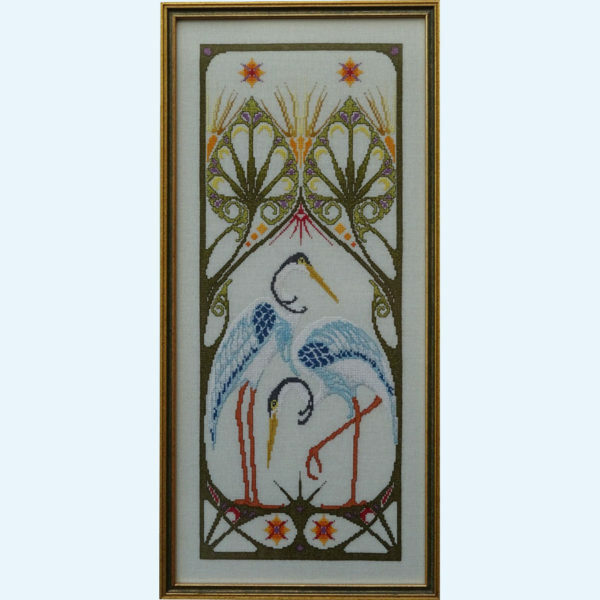 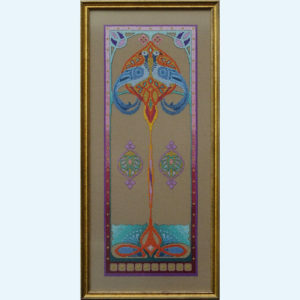 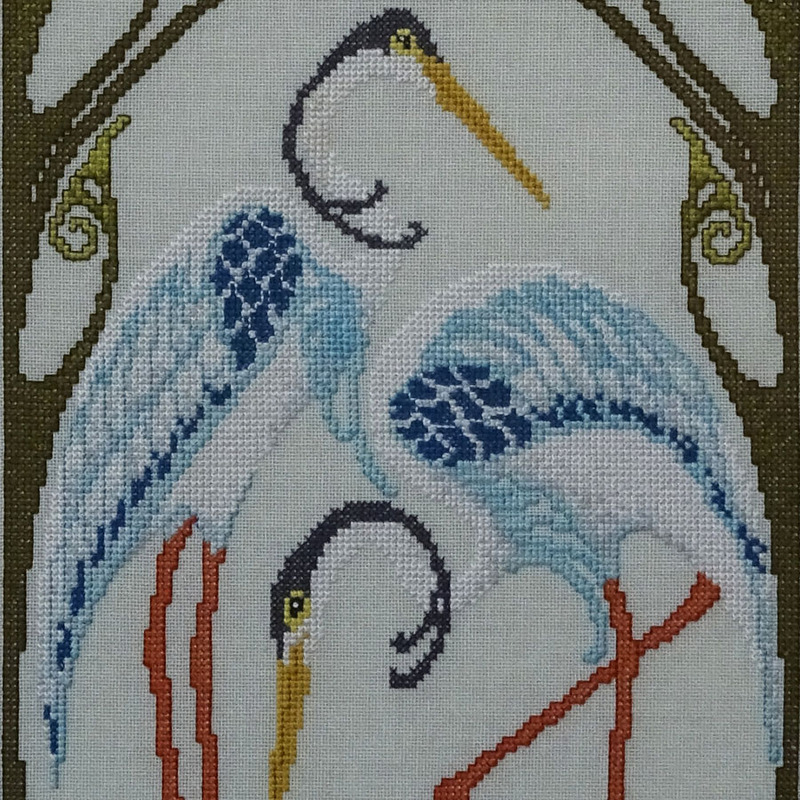 Art Nouveau cross stitch pattern with two cranes. 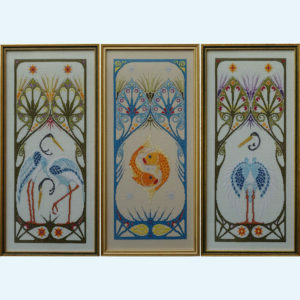 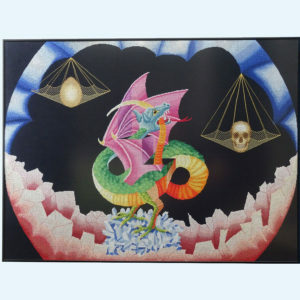 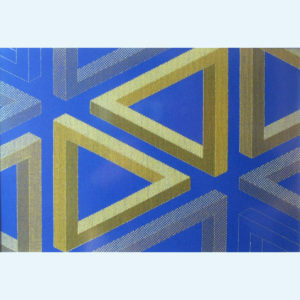 This is the first pattern of a triptych in Art Nouveau. 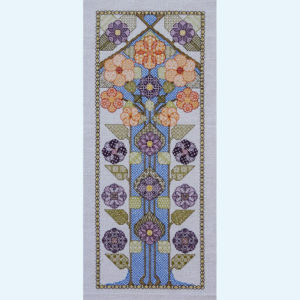 In the pattern you will find a convert list to DMC.